Reinforced scrim tape for ultra-strong holding power. Super aggressive UV adhesive for long lasting repairs. 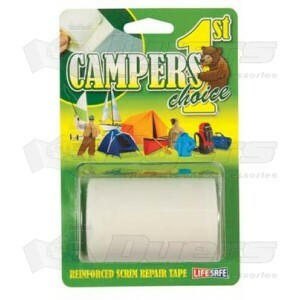 Repair of all kinds of outdoor material such as: tents, sleeping bags, back packs, rainwear, sails, awnings, pool covers etc.